Identify and discuss the ubiquity and uses of bioluminescence in nature. Describe the mechanism(s) by which bioluminescent light is created. Describe the mechanism(s) by which neurons are stimulated by light. Select and defend the choice of an appropriate animal/tool/method to study natural bioluminescence or another cellular/molecular neuroscience phenomenon. Propose a compelling research/business idea around bioluminescence technology. 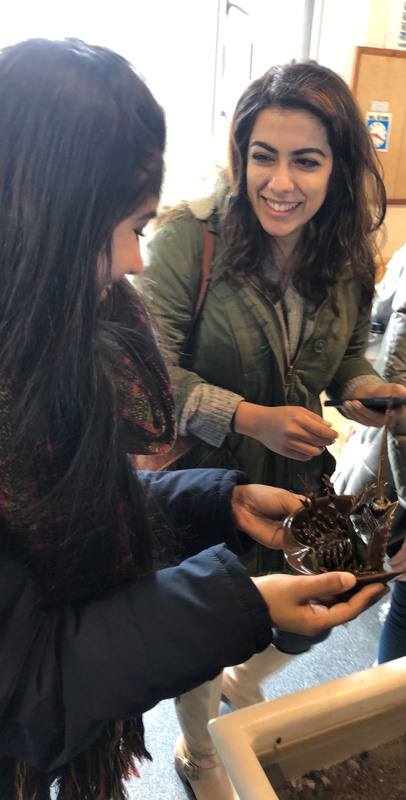 What: The MBL Undergraduate Practicum is a 4-day, 5-night, intensive, hands-on learning experience investigating bioluminescence with a multifaceted approach. Students will examine this phenomenon from organismal, animal behavior, molecular biology, chemistry, physics, and neuroscience perspectives. Whom: This practicum is especially suited for motivated and ambitious juniors. Students from groups underrepresented in STEM fields are especially encouraged to apply. When: The 2019 Practicum will be held March 24-29, 2019. Applications for the 2020 iteration will be accepted beginning October 1, 2019 and are due December 1, 2019. Where: The Marine Biological Laboratory, Woods Hole, Massachusetts. Why: This practicum will introduce students to bioluminescence applications in neuroscience, including how this light is used to image and control cells, and how innovations in bioluminescent tools are made. Price: Full support will be provided for tuition, housing, meals, approved travel expenses, and laboratory supplies for accepted students. Questions? Check our FAQs or contact us!